Our cheerful and charming flower cup vase is sure to brighten the day when filled with your favorite fresh cut flowers or even a small plant. For plants, display a tulip or miniature rosebush in a 4” growers pot. 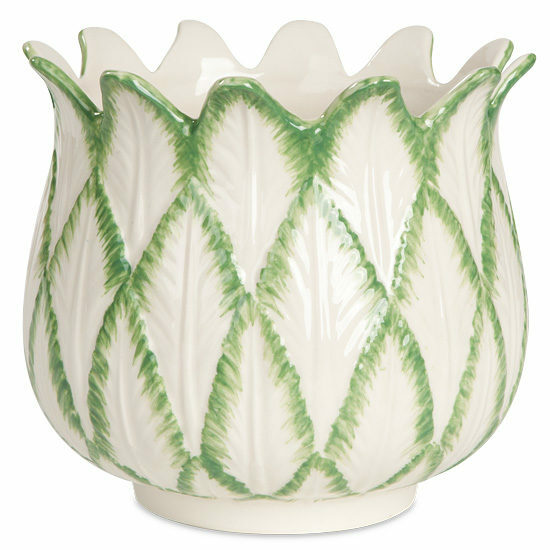 Colorful bouquets look just as lovely in this white ceramic vessel with its petals all trimmed in spring green.